a neighborhood harvest. 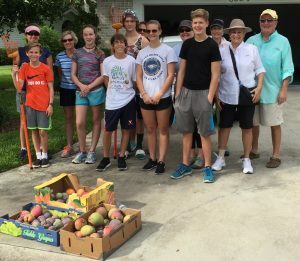 Fran and Jeff Sills along with 5 parents and 6 youths collected 3 boxes of mangoes! Best Mango pickers in Naples! The proceeds from the Christmas Market, held in November, are allocated to those in our community less fortunate.